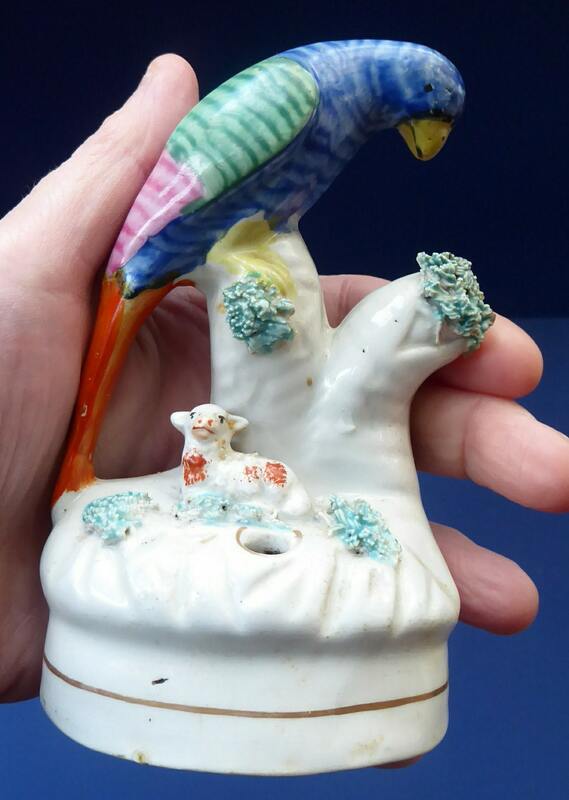 This is a very rare Staffordshire bird and lamp quill holder - it dates to the mid 19th century, about 1850 - 1860. 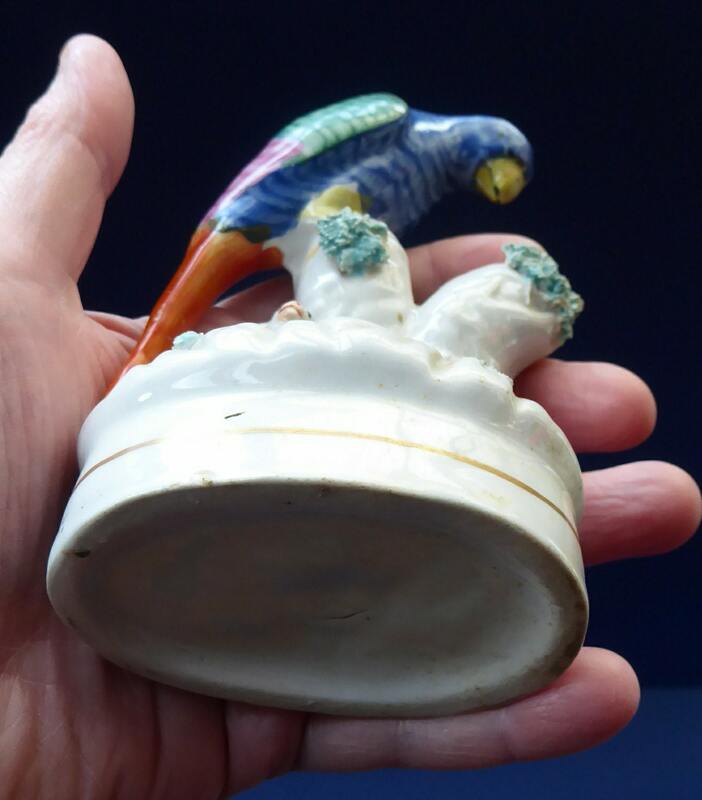 This is an item probably for the specialist collector of pens, ink wells or rare pieces of early Staffordshire pieces. 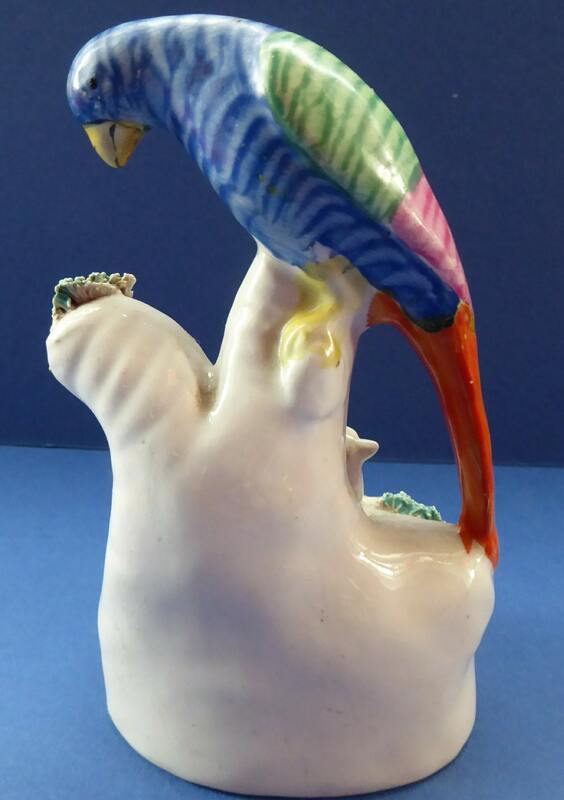 The holder features a stylised parrot sitting on a tree stumpe. He is beautifully painted - with a blue striped head - pink and green wings - and rust coloured tail. 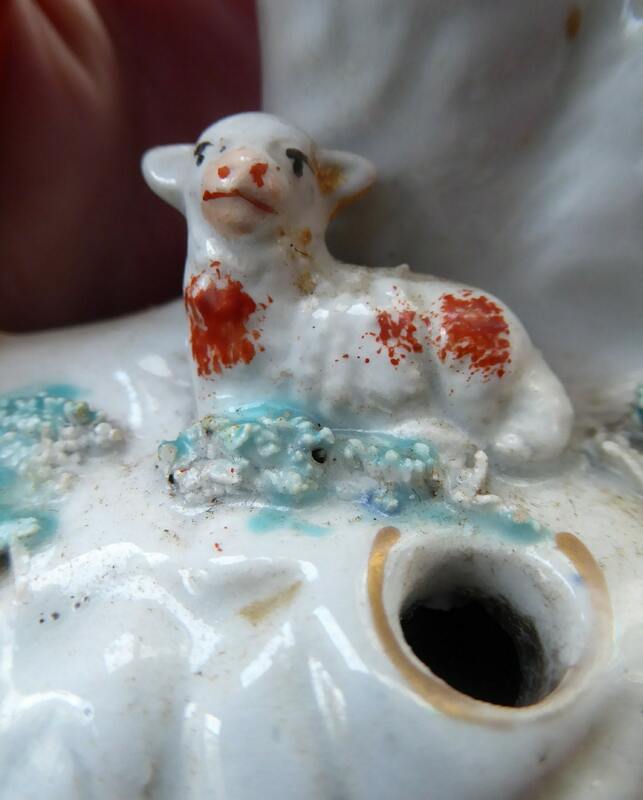 Below, sitting a little lamp with three rush coloured patches on his body. There are little shreds of clay representing the grass and leaves on the green - and around the base is printed a line in dull gilft. In just really lovely antique condition with no nasty damages, chips or restorations - as nice an example as you might expect to find. Height: 5 inches. Base measures: 3 x 2 1/4 inches. 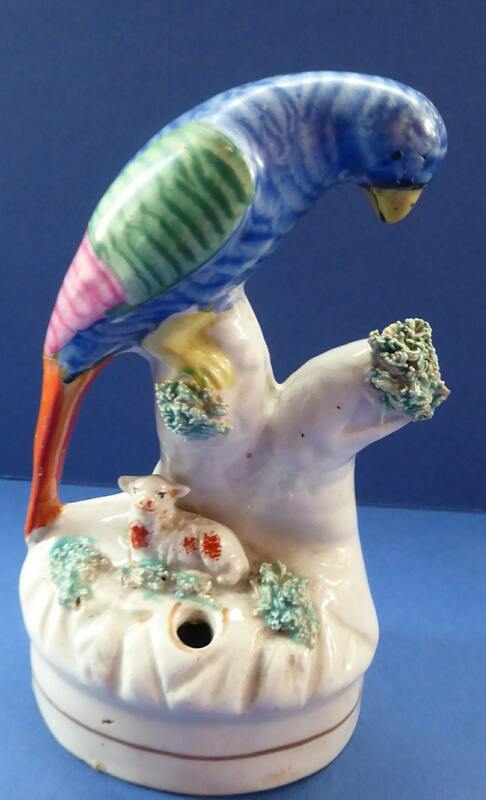 For more information etc please refer to 'Victorian Staffordshire Figures 1835-1875' Book 2, by A.& N. Harding, page 235, figure 2854. Postage quoted here is for Royal Mail Special Next Day Delivery with full insurance in transit.